Becoming Neutral | Welcome to Fairview's Blog! The path to becoming Carbon Neutral is a long one but Fairview Cheese Company has made some incredible progress toward this goal. The journey began in September 2009 when Promethium, a company specializing in managing the effects of climate change on businesses, started assessing the total amount of greenhouse gases (such as carbon dioxide) that are emitted into the atmosphere each year by the cheese factory. A greenhouse gas life cycle assessment, which includes not only the carbon emissions of the factory itself but also the carbon emissions of the suppliers to the cheese factory, was initiated. Through this assessment Fairview Cheese factory was able to determine their Carbon Footprint and begin making the necessary adjustments to the running of the company to start reducing carbon emissions and working towards Carbon Neutrality. Reducing carbon emissions is the most important step towards altering the effects man has on the environment, with that in mind solar panels were erected at the cheese factory. An economiser, which uses a complex chimney system to produce steam and assist in the heating of the water in the boiler, was purchased. By using the latest technology available the energy usage in the cheese factory has dropped dramatically. As part of the reduction process Fairview developed a skin packaging for their feta cheese thereby reducing the plastic usage in the packaging and saving water by eliminating the need for a brine solution. “The new packaging reduces carbon emissions as we are not transporting feta and brine water around the country. 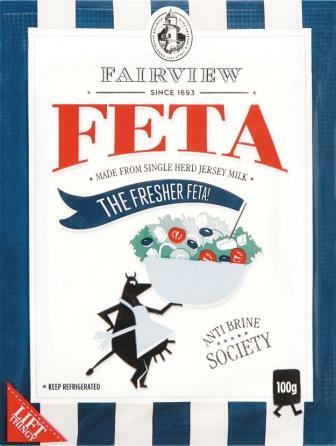 There is also substantial water saving both for us and the consumer when you consider that 400g of traditional feta carries 300ml brine water in the tub,” says Bruce Rowbotham, Cheese maker at Fairview. So with step one, reducing CO2 output, well under way the next step was to offset the carbon footprint. Under the guidance of Earth Patrol, who assist businesses in taking responsibility for reducing their carbon footprint and offsetting what they cannot viably reduce, the cheese factory has become involved in carbon offset projects. Earth Patrol has various projects running throughout the country which include planting trees, exchanging light bulbs and installing solar heating panels. Charles Back, owner of Fairview wine and cheese, chose to focus the offset program for Fairview Cheese Company on the local communities surrounding the Fairview farm with the majority of the work being done within the Drakenstein Municipality. Tree planting took place over the course of one week with trees being planted atMboniselo Primary School three schools in Mbekweni outside Paarl, as well as at Rusthof Old Age Home in Paarl and in the communities that surround Fairview. The response from the children at the schools was particularly endearing. 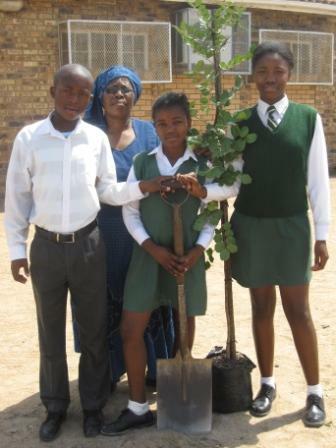 At each school the children were taught about the benefits oftrees to the environment, they helped plant their trees and then each group of three to four children was assigned the responsibility of caring for the tree they had planted. The Drakenstein municipality was also involved in the tree planting project and 38 trees were planted by the municipality on behalf of Fairview Cheese Company. As part of the light bulb exchange offset Earth Patrol are replacing approximately 12000 bulbs in one of their programs in Kwa-Zulu Natal. 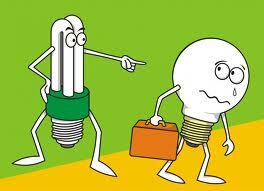 Light bulb exchanges were also conducted in the local community with incandescent bulbs exchanged for compact fluorescent lamps which are four times more efficient and last up to 10 times longer than incandescent bulbs. This light bulb exchange has multiple benefits as not only do the CFL lamps use less electricity thereby reducing carbon emissions but they also save homeowners money on electricity bills. The drive towards using more energy efficient lighting in all the departments at Fairview Wine and Cheese is well underway with bulbs being exchanged throughout the estate. By December 2011 Fairview Cheese Company will receive the official confirmation that the Cheese Factory is the first Carbon Neutral cheesery on the African continent. It has been a long road to neutrality and it doesn’t end there. Fairview will continue working towards becoming a greener, more environmentally aware business. The company will strive towards innovation and education with continued interest in protecting the environment in the interests of future generations. How can you reduce your own Carbon Footprint? * Use your own muscle power whenever and wherever possible, e.g. walk or cycle rather than using a taxi or car – emissions from transport are one of the fastest growing sources of greenhouse gases. * Use public transport whenever and wherever possible and think carefully about your personal transport choices – big, heavy gas-guzzlers are not climate friendly – and remember emissions from transport are one of the fastest growing sources of greenhouse gases. * Plant indigenous trees – trees absorb carbon dioxide from the air and use it as their energy source, producing oxygen for us to breathe. * Recycle – recycling paper also saves trees and reduces the energy used in paper manufacturing. * Use energy saving bulbs such as compact fluorescent lights (CFL) or, better still, light emitting diode (LED) lights – CFL and LEDs use far less energy than incandescent globes and thus reduce your greenhouse gas emissions. * Do not let water run while shaving, brushing your teeth or washing vegetables – our water security is threatened by climate change and energy is used to pump and purify water. * Catch rainwater for use in the garden – our water security is threatened by climate change and energy is used to pump and purify water. * Save electricity – turn off lights when you do not need them, fit a solar water heater, use gas for cooking, insulate your house – reduce your greenhouse gas emissions and save on your electricity bill.